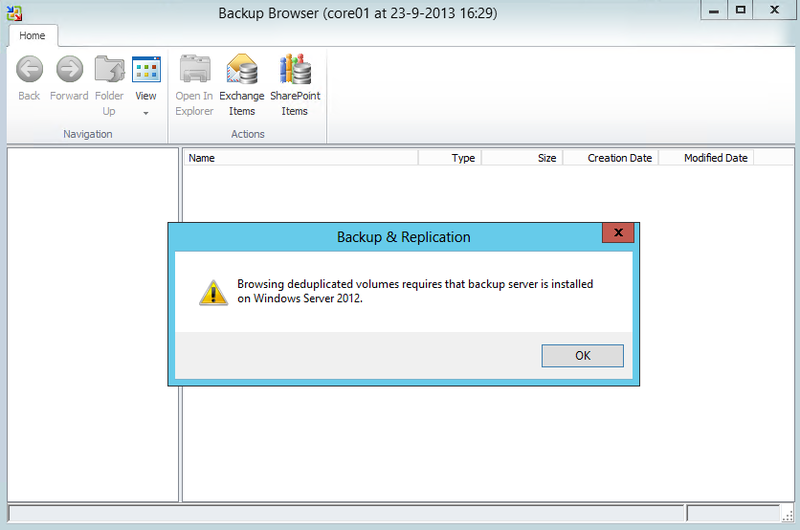 With the release of Windows 2012, Microsoft allows you to do deduplication in software. This feature can potentially save you a lot of storage space without having to buy specialized hardware. 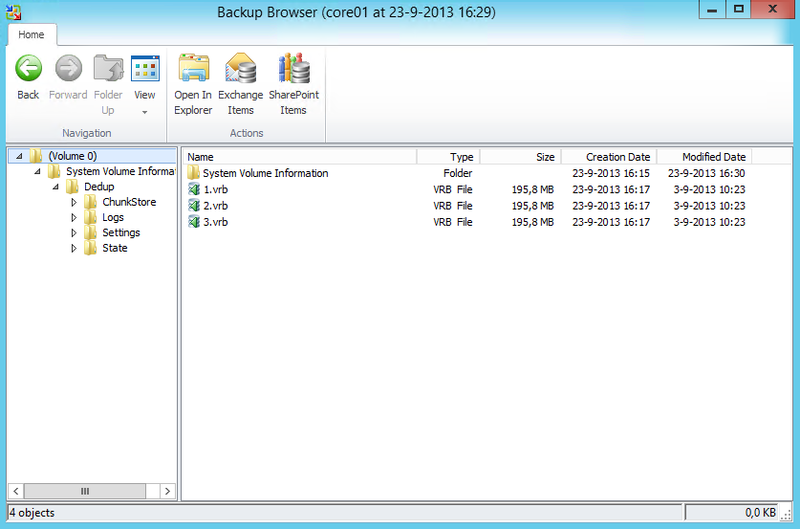 For example if you have multiple Veeam backup jobs, storing the data on a common repository can give you global deduplication with Windows 2012. 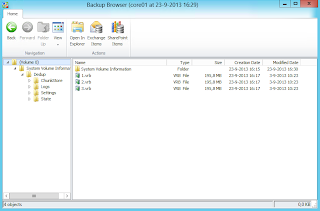 You can find a good blog article about this on the Veeam web site http://www.veeam.com/blog/how-to-get-unbelievable-deduplication-results-with-windows-server-2012-and-veeam-backup-replication.html . With the release of v7 I think you can build even more interesting scenario's where the primary repository is a volume without deduplication for fast backup and fast restore. Then you can use the backup copy job to copy the backups from the primary volume to a dedup volume in combination with GFS. Because GFS will create multiple full backups, this should lead to interesting dedup levels. 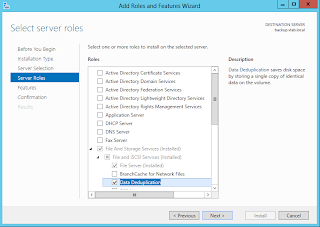 A couple of days ago I got an interesting question about in-guest deduplication and file level recovery with Veeam. 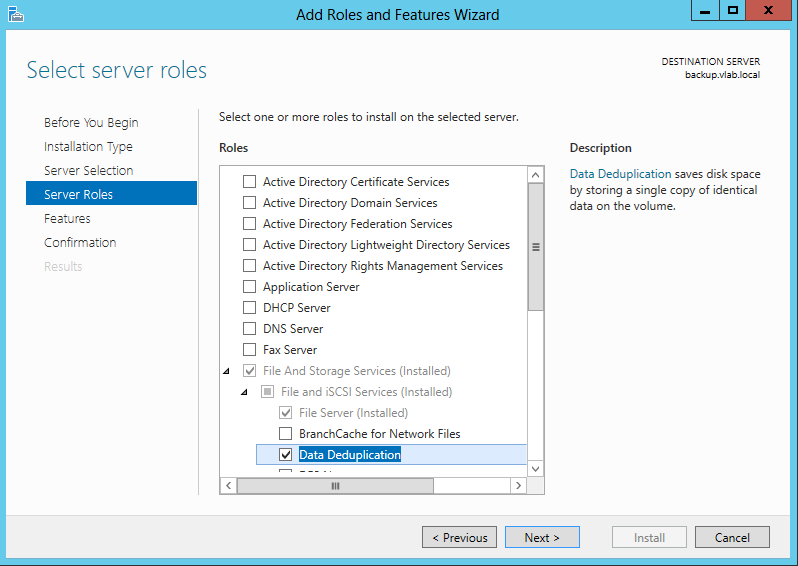 I was pretty confident it would work because Veeam shows the disk to Windows via a propriety driver. I figured out that one of the requirement would be that the backup server is a Windows 2012 server. 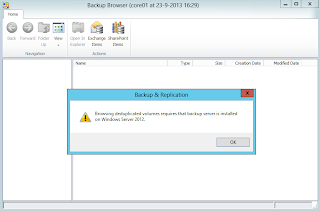 However when I tried it I got the following error "Browsing deduplicated volumes requires that backup server is installed on Windows Server 2012"
So not only can you use deduplication on the backup server, you can also use it in guest, knowing that Veeam can successfully recover files from it.